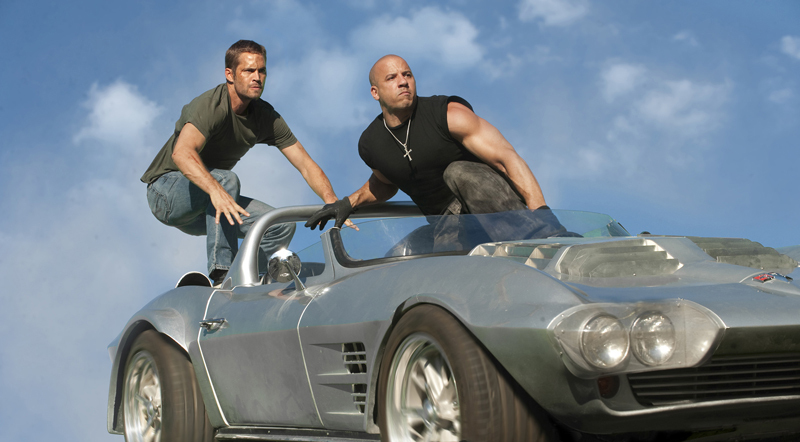 I have a fresh review of the new Fast and Furious film, “Fast Five”. This review comes from one of our newest contributors to the Boomstick site so let us all give a warm welcome to Deserted Samurai. “Fast Five, or as I like to call it, 2 Fast too Fiveious. If you haven’t been a fan of the more recent Fast & Furious movies then this may not be the movie for you, as it basically has the same feel as the previous film (Fast & Furious). HOWEVER, if you want to see several late model cars ripping up streets and burning more fuel than you could eventually get from Jurassic Park, then believe me when I say that this is the film for you! It goes without saying that I thoroughly enjoyed this film. Expect to see all the characters you know from the series make a comeback in this film as they try to pull off yet another heist in the Fast & Furious fashion. The fact that this time around Dwayne “The Rock” Johnson has a role in Fast Five made this movie so much better. The Rock was basically added to balance out how big Dom (Vin Diesel) is and to make for a great rival. As a car guy myself, I loved that they pushed the distinction between the abilities of American Muscle and Import cars further in this film. Dodge definitely found their niche in this film and gave a better performance than any Chevy in the Transformers series. As you can imagine, this movie isn’t about deep story line or complex characters. It’s about modded cars, beautiful women, and action sequences that would make Michael Bay reach for his note pad. This entry was posted on Friday, April 29th, 2011 at 1:05 pm	and is filed under Film, News. You can follow any responses to this entry through the RSS 2.0 feed. You can skip to the end and leave a response. Pinging is currently not allowed. I do think The Rock brings a lot of fun and charisma o all his films. He is a big selling point for me to see this movie. « Before Terminator 5, Arnold Schwarzenegger Might Star In “Cry Macho”!! !